For those with an eye for viral topics, and don't mind eating their way there. We are always looking for great content writers. If you can write concisely, take good photos and have an eye for the next viral article, we want you. We want people who are passionate about food, nightlife and travel, and are able to express their thoughts on paper well. Good photography is always a requirement to tell a visual story along with words. You will need to enjoy going to events, talking to people, being proactive and always be willing to learn and improve. As a writer for sethlui.com, you are a curator of good food and need an eye for the next latest big food trend. Can you tell the latest raclette cheese trend from last year’s liu sha bao trend, or suss out the hidden local food gems no one has heard of? What does writing for this site entail? Writers will entail attending events and tastings when not in the office, creating headlines and articles, publishing the latest trends. We are looking for content about food, nightlife and travel reviews and listicles that are detailed, informative and have good potential to go viral. You need to be familiar with food trends and hidden gems. Topics are discussed beforehand and submissions are subject to approval by the editor for quality control and will be edited before being published. Photos have to be of great quality to be published. We work hard, play hard. Forget about work-life balance, our company culture combines and balances both. This isn’t your standard office hours type of job, we’re a startup that needs committed people with drive and the desire to grow together as a company. We work as a team, not as individuals. An easy-going job, yet demanding with loads of self-discipline required. Most of us have mild-alcoholism as well. 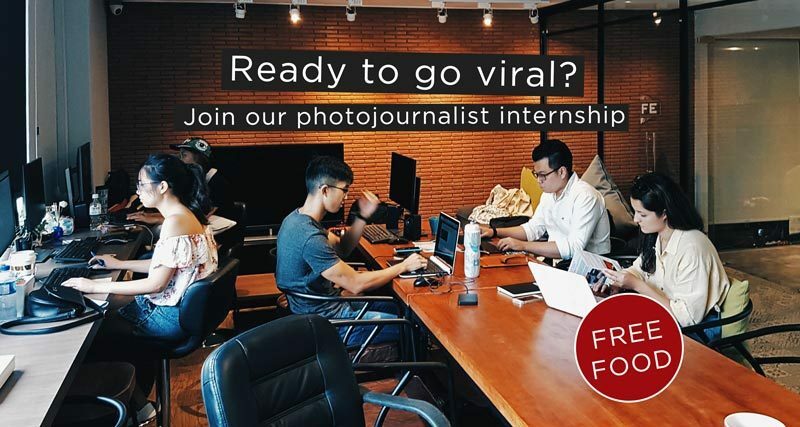 Accepted photojournalists are required to come into the office during weekdays from 11am – 7pm (no, this is not a work from home job), with a minimum internship period of 4 months. Interns are paid a monthly allowance between S$600 – $800 depending on expertise, and have a small food budget. For interns, you will be writing a mix of long form reviews (~800 words), best of food/travel listicles as well as short form news articles (150-200 words). You can expect to write around 2 articles daily.